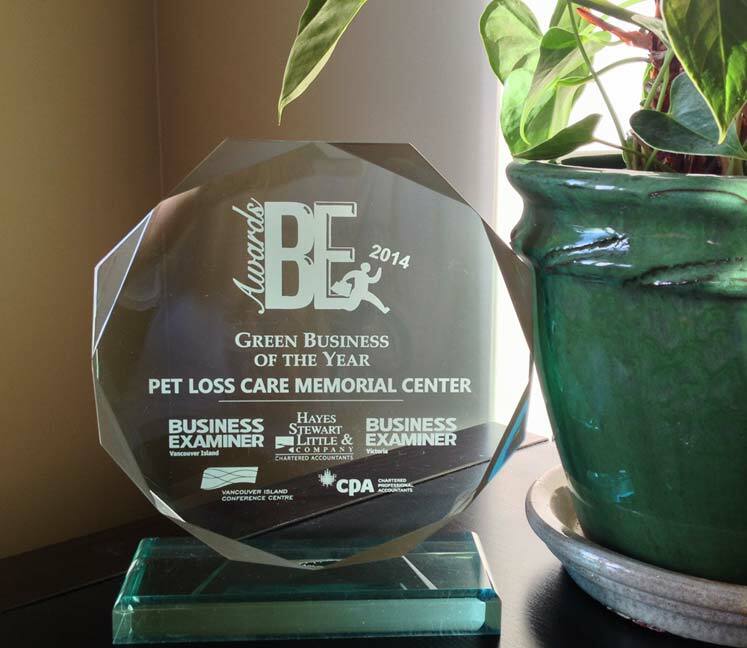 searchmain menuLocal PressPet Loss Care Memorial Center wins Green Business of the Year Award! The Green Business of the Year Award recognizes companies showing innovation and environmental sustainability practices. "In the case of Pet Loss Care Memorial Center, we won two Innovation Awards, one in 2011 and another in 2013.” Pet Loss founder Jocelyne Monette says, “ Winning a Green Award for our technology achieves a goal for us, and that is having the value of this technology and practice recognized. This technology uses 95% less energy than traditional cremation, operates with 1/10 the carbon footprint, and generates zero emissions." "It's always amazing to hear and read about the stories of how these fine companies have managed to climb to the top in their respective sectors," said Business Examiner publisher Mark MacDonald, "..businesses are the backbone of every community, and sometimes their accomplishments and what they provide in terms of economic stimulus, employment and their contributions, are overlooked. That's what these awards are all about: to celebrate and acknowledge their work." How very exciting to finally have this environmentally friendly technology not only acknowledged, but honoured with a Green Business of the Year Award! Being part of the Saanich community and knowing they are always looking for ways to be sustainable and environmentally conscious makes me even prouder to play a small part in helping them become the 'green community' on Vancouver Island! Thank you to all who support my little company - and especially those families that have found my services comforting during their time of loss. I am concerned about our planet, our environment and the legacy we are leaving behind for our children and grand children. 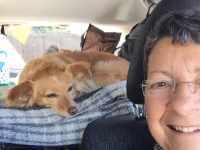 I am just one person doing one change - and now families are doing their part by requesting the responsible choice for their pet's after care.